Last year, cucumbers were one of my garden’s biggest successes. Thanks to years of practice, and my ace new greenhouse, the two cucumber plants I grew from seed clambered all over the rest of my indoor crops and pumped out so many tasty fruits that my family (and my neighbours) were slicing juicy segments for weeks. 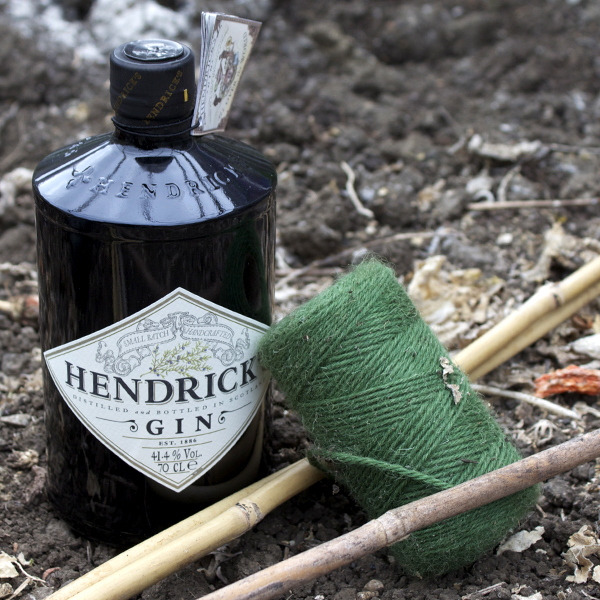 Just as I was thinking it about time I started this year’s cucumber sowing, we received an email from top gin makers Hendrick’s asking if we wanted some cucumber seeds. Cucumbers are one of the key ingredients that gives Hendricks gin its unique flavour, and it’s one of the best gin garnishes going, so they’re keen to help spread a little more appreciation of the popular cucurbit. (They also sent a bottle of their gin, just so we could remind ourselves of the magnificent combination of booze + cucumber). To help improve the nation’s cucumber growing antics, they also contacted a cucumber boffin to run a few tests and find out if there were any new ways to encourage cucumbers into more fruitful activity. Graham Brown, of the University of Sydney, is one of the world’s leading cucumber experts and some of his findings are quite bizarre, but we’re willing to put them to the test. Cuces like a cosy start to life, so sow them in wet compost indoors. A warm windowsill or on top of a freezer works a treat (the freezer’s cooling energy gives off a small but consistent amount of heat). 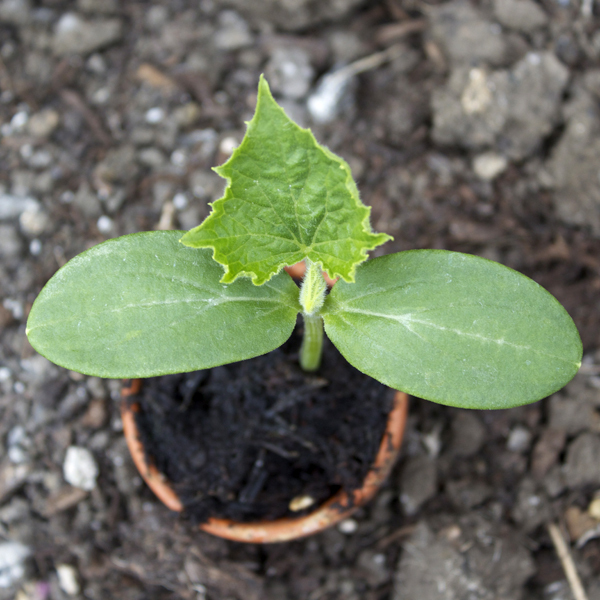 Once germinated, your rapidly growing cucurbits will thrive best in good, even light. If they have to strain to find the sun they may get a bit ‘leggy’ and not sufficiently bulk out. 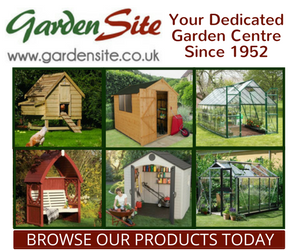 A greenhouse is ideal, failing that your sunniest window location. Frost is a deadly cucumber killer so wait until all risk of the freezing stuff has passed before planting out any outdoor varieties. And even outdoor varieties will perform better under glass. According to Graham Brown, cucumbers love a loud blast of rock music. The Sydney scientist subjected plants to a variety of music styles (along with a control test of silence) and the sound of heavy metal thunder produced larger and jucier fruit. Like most youngsters, they hated jazz. Despite cucumbers lacking in the nose department, Mr Brown also subjected plants to three scents, spritzing dill and sage in their direction while leaving another group scent free. According to the star scientist “plants can sense chemicals in the air, such as volatiles released during grazing by herbivores and respond by increasing production of protective chemicals”. In the trials, their senses twitched in delight to the spritzed dill, resulting in tastier fruits, while the sage induced a bitterness to their flavour. Graham Brown’s final trial involved tucking up some cucumbers into miniature sleeping bags which resulted in softer skins and sweeter flesh. 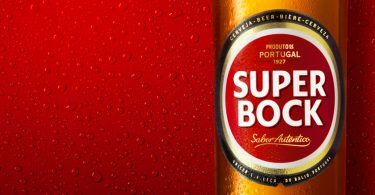 He explains “it would appear that by protecting the growing skin from the drying atmosphere and light, the fruits are tender and sweeter”. In the absence of custom made sleeping bags, we suggest a large sports sock will do the trick. Cucumber plants like good meals of nutrients and are thirsty beasts. 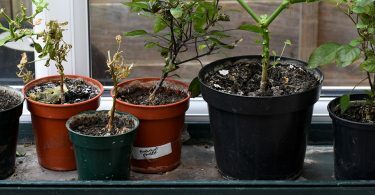 To help keep them sated, plant in compost (or directly into a grow bag) and water regularly. Continue to offer them scoops of manure every week or two, which they’ll readily accept, and once the fruits have set you can nourish them some more with a tomato feed or liquid seaweed. Cucumbers are avid climbers, so give them some sticks to wriggle up, encouraging them to keep to the right path by tying their stems to the sticks with string. I too have had a bumper harvest of cuces! I loved your top tip article and always greet my plants with a ‘Good morning gals’ as I open up my green house which I have renamed the hanging gardens of Babylon! I think I need to go and do a bit of pinching out!! !